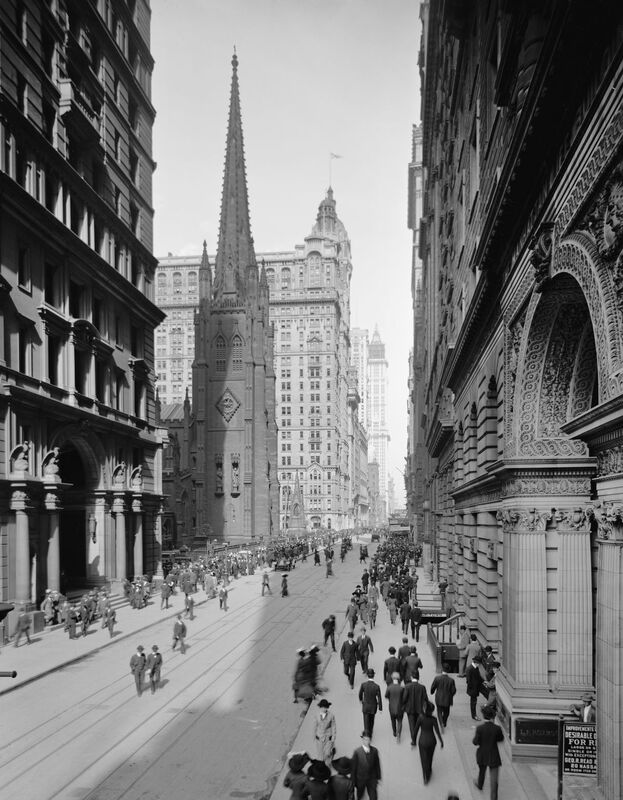 In December 1894, the vestry and clergy of Trinity Wall Street—New York’s oldest, wealthiest, and trendiest Episcopal church—should have been deep into their celebrations of Advent, a time of penitence and reflection before Christmas. Instead, Trinity’s leadership was reflecting on something entirely different: the near-daily revelations in New York’s newspapers about the church’s recently discovered role as the city’s most egregious slumlord. “Tenement Houses in a Deplorable Condition” blared the front page of the New York Times on December 9, 1894. Today, there’s practically no physical trace of this era in Trinity’s history, but earlier this summer, the church’s real estate arm and the Disney Corporation announced a blockbuster deal to develop a new headquarters for Disney/ABC’s New York operations at 4 Hudson Square—right in the center of what was once Trinity’s empire. The Hudson Square development will fill the block bounded by Hudson, Vandam, Varick, and Spring streets. The most notable structure that will fall to the wrecking ball is City Winery, the hybrid vinting/dining/entertainment venue, which will have to find a new home by January 1, 2020. The long history of Trinity’s real estate holdings stretches back to the takeover of New Amsterdam by the British in 1664. By the end of the 19th century, Trinity was the second-largest landholder in the city, owning much of the land stretching from Wall Street to Chelsea. Within these holdings were everything from these notorious slums to commercial buildings to upscale planned neighborhoods, such as the original, 19th-century Hudson Square project, which centered on one of the city’s first private parks. Though Trinity today owns but a fraction of its original holdings, it remains one of the richest—and most powerful—landlords in the city. The history of Trinity’s property begins with Anneke (or Annetje) Jans, who first came to the colony of New Netherland in 1630, settling in Fort Orange (today’s Albany). In 1634, she and her husband, Roelof, moved to Manhattan, and in 1636, they acquired a 62-acre parcel of land north of the newly constructed wall that marked the city’s northern border. Roelof died in 1637, and the next year, Jans married the pastor of the Dutch Reformed Church, Everardus Bogardus. The Jans/Bogardus land came to be known as the Dominie’s Bowery, or Reverend’s Farm. After Bogardus died in a shipwreck in 1647, Jans moved back to the Albany area, where she died in 1663, just prior to the English takeover of New Netherland. In accordance with her will, Jans’s surviving children were to sell the farm and split the proceeds, which they did in 1671, selling it to Gov. Francis Lovelace. Over the next 25 years, the land was merged with another tract—the combination was dubbed the King’s Farm—and this 215-acre parcel became crown land. It stretched all the way up to Greenwich Village, probably ending around today’s Christopher Street. In 1697, Gov. 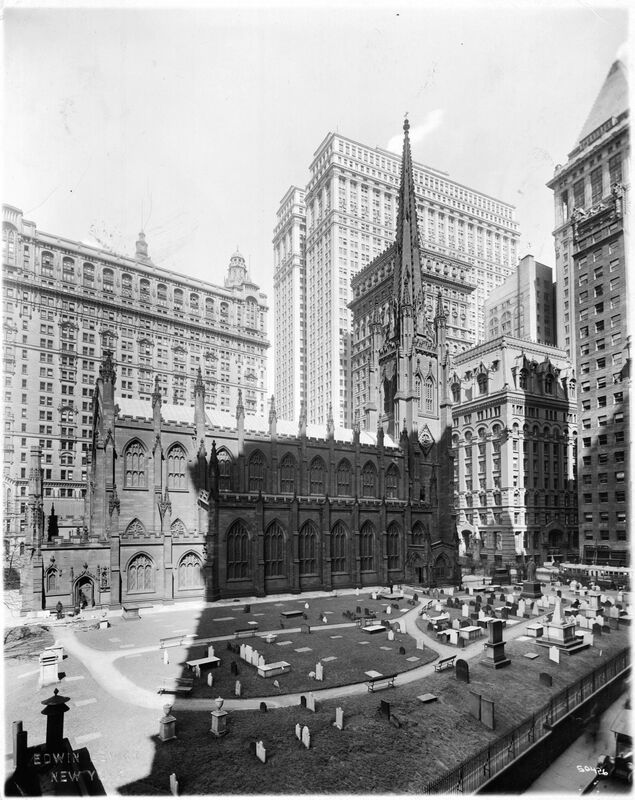 Benjamin Fletcher, who had taken the step of establishing the Church of England as New York’s official religion, leased the King’s Farm to Trinity Church, the brand-new parish at the corner of Wall Street and Broadway that stood adjacent to the farm’s southern border. Eight years later, Queen Anne granted the entire parcel—which had become the Queen’s Farm—to Trinity outright. It soon came to be known as the Church Farm, but many reverted back to calling it by the King’s Farm name. The queen’s grant made the church the second-largest landholder in New York (after the crown itself) and set the stage for the church to become the wealthiest in the North American colonies. If disloyal New Yorkers could lose their property, it probably seemed reasonable to Cornelius Bogardus that former crown lands—in particular those that had once been owned by patriotic, non-English colonists—should also be redistributed. The courts did not agree, but that didn’t stop the Bogardus family from doggedly pursuing the claim for more than a century. From the time of Queen Anne’s land grant in 1705 until the 1780s, Trinity’s income from the King’s Farm mostly came from small-scale tenants—the parcel contained nearly 1,000 lots—though there were a few farms and larger estates. The most famous King’s Farm lease was for Richmond Hill, a mansion erected in 1767 by Abraham Mortier, the paymaster general to the British forces in North America. He’d leased the land, at what today would be near the corner of Varick and Charlton streets, for 99 years from Trinity at an initial rate of 52 pounds a year. During the Revolutionary War, George Washington briefly used the house as his headquarters, and when New York City was the capital of the United States, Richmond Hill became Vice President John Adams’s official residence. Later, the home would be owned by Aaron Burr, who took over the lease. In 1792, Trinity began looking for a home for a new chapel, and by the time the Taylor-Roberts plan of Manhattan (an extension of the earlier Ratzer Map) was issued in 1797, Hudson Square is clearly shown, although it hadn’t actually been built yet. If the Taylor-Roberts plan is correct, the original park would have been larger than what was built, bounded by Vestry Street to the north and North Moore to the south. By the time the square was constructed, around 1802, it had shrunk to encompass the area surrounded by Beach, Hudson, Laight, and Varick streets. St. John’s opened for worship in 1807, the same year that Col. Richard M. Malcolm—who had married into the Bogardus family—sued Trinity for possession of the land on the King’s Farm that he and his family claimed to have occupied for 60 years. With Hudson Square poised to remake the face of the neighborhood, Malcolm likely believed that owning even a fraction of the original farm would be a money-maker. However, the courts brushed him aside as quickly as they had dismissed Cornelius Bogardus’s earlier suit. remain hereafter an ornamental Square without any buildings being erected therein, and in case all the Lessees of the lots fronting on said Square shall agree to maintain the same at their own expense as a private Square…. To underline the private aspect of the park, a $26,000 iron fence was built around it. This exclusivity, combined with the prospect of being able to own the lots outright (the park itself remained the joint property of Trinity and the lot owners), began to make the area an attractive alternative to the other up-and-coming developments along Bleecker Street, Washington Square, and Gramercy Park. It’s not surprising that as St. John’s Park became more popular, John Bogardus—son of Cornelius and great-great-grandson of Anneke Jans—revived his father’s lawsuit against Trinity. His argument followed similar reasoning to his father’s: as their branch of the family had never signed away its one-sixth share of the Dominie’s Bowery, Bogardus was entitled to some remuneration. Further, Bogardus’s attorneys tried to argue that the crown had never legally taken possession of his one-sixth share of the property. In 1830, New York’s courts sided, once again, with the church. Four years later, Jonas Humbert—another Bogardus heir—tried to argue that Queen Anne’s 1705 land grant had never included the Dominie’s Bowery in the first place and that “it had by fraud caused a confusion of boundaries, so that under color of the grant from Queen Anne it had obtained a larger tract of land than this grant.” This suit was also dismissed, in part because the records Humbert used to plead his case turned out to be for land the Jans/Bogardus family had owned in Queens. In 1831, the old Richmond Hill mansion was converted into a theater, which helped the St. John’s neighborhood feel less isolated from the rest of New York’s wealthy society; the area continued to prosper, although development on Fifth Avenue was beginning to draw many of New York’s elite farther uptown. A more exclusive concern than this park does not exist on earth. Its gates are all locked, and keys for it are sold … [to] the upper ten thousand, who reside in the surrounding palaces. In protest, Walsh vaulted the fence and took a stroll in the private park. But there wasn’t just local backlash. An unsigned editorial in an 1844 Kansas newspaper asked if the $26,000 that had been paid for the fence surrounding St. John’s Park “would have been better expended by taking 500 of the landless poor and placing them as preemptioners on the Public Lands.” The 1841 Preemption Act had incentivized squatters to settle on public lands and then be given the right to buy the property at $1.25 per acre. That New York’s elite would spend the equivalent of 20,800 acres of prime Kansas land on a fence was unfathomable. The rest of the King’s Farm neighborhood near St. John’s Park was still mostly filled with single-family dwellings, many of which, in an era of increased immigration, were being carved up into boarding houses or tenements. In 1847, a sewer system was laid in the area, but many of the homes still lacked running water. It was too expensive and inconvenient to retrofit older homes. a plainer case has never been presented to me. … [T]he law on these claims is well settled; and it must be sustained in favor of religious corporations as well as private individuals. Indeed, it would be monstrous, if, after a possession such as has been proved in this case … [that] title to lands were to be litigated successfully, upon a claim which has been suspended for five generations. Few titles in this country would be secure under such an administration of the law; and its adoption would lead to scenes of fraud, corruption, foul injustice and legal rapine, far worse in their consequences upon the peace, good order and happiness of society, than external war or domestic insurrection. Chastened, John Bogardus’s heirs did not appeal the decision, and that appeared to be the end of the family’s claims on the Dominie’s Bowery. By the eve of the Civil War, St. John’s Park was losing its curb appeal. Richmond Hill—which had turned from theater to opera house to circus to saloon—was torn down in 1849. The nearby waterfront was part of the city’s ever-growing port. The Hudson River Railroad had been established in the 1840s and run down Hudson Street, skirting the park, to a depot on Chambers Street in 1852. In 1867, after Commodore Cornelius Vanderbilt purchased the railway to convert its downtown tracks into a freight line, he paid Trinity $1 million to acquire St. John’s Park so that he could use the land to build a new depot. St. John’s Church hung on, a run-down reminder of an earlier era. Meanwhile, most of the surrounding King’s Farm parcel, still owned by the church, was becoming increasingly dilapidated. As in other densely populated, low-income neighborhoods in the city, landlords felt little responsibility toward tenants, especially immigrants. New York’s population was booming, and if tenants moved out, there were always others waiting. The problems in the King’s Farm tract were compounded by Trinity’s hands-off attitude. The church felt that as the landowner only—and not the individual landlord or managing agent of the buildings—its responsibility was merely to collect ground rent. This backfired spectacularly in 1894, when a state-chartered Tenement House Committeeheld lengthy hearings and then released a 600-page report on New York’s substandard housing. Trinity was taken to task for ignoring disease, vermin, lack of ventilation and running water, poor construction (or, in many cases, simply aging infrastructure), and disreputable tenants. A house unfit for human habitation. The walls are cracked and the floors sag. The whole place is incredible filthy. … In one of the upper rooms three-quarters of the side wall fell and came near to seriously injuring one of the unfortunate tenants. The floors of halls, apartments and stairs are incrusted [sic] with filth. The two school-sinks in the yard are in a hopeless condition. The walls of the apartments are infested with bed-bugs and other vermin. When asked why it was in such bad repair, the home’s owner simply replied: “I do not own the land. … I have it on a two years lease” from Trinity Church. Following the hearings, New York’s newspapers meticulously untangled the web of Trinity’s complicated real estate empire. When the vestry of the church refused to release a list of its properties, the New York Times researched and published a list of every house it could find that was built on the King’s Farm parcel, including an opium den above a Chinese laundry at 342 Hudson Street and a “frame shanty” at 141 Varick—part of the lot Disney will be developing—that was “one of the worst places on the entire Trinity tract.” On the ground floor, a retail shop had been abandoned by a saddler and was covered inside “with rotting scraps of leather and a foul assortment of refuse,” the stench from which seeped into the upstairs apartment, making it virtually uninhabitable. 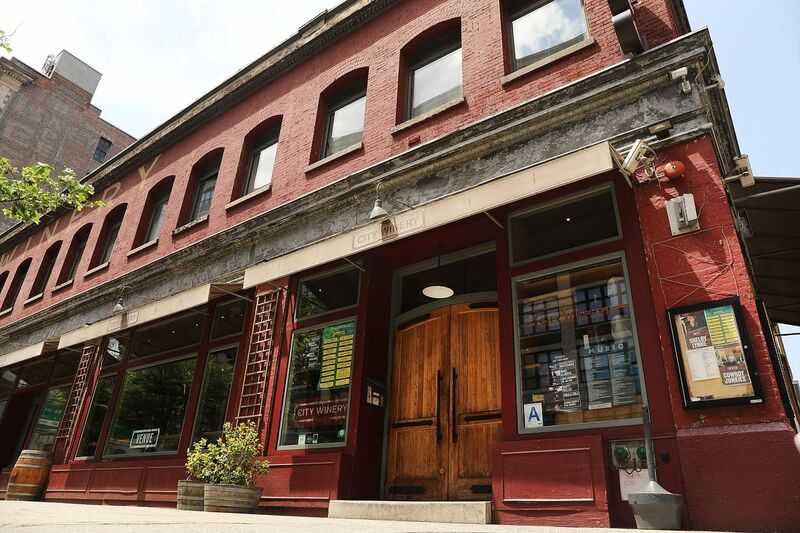 The wine bar and music venue City Winery stands in lower Manhattan on July 12, 2018 in New York City. The Walt Disney Co., which has announced that it will move its New York City headquarters from the Upper West Side to Hudson Square, will be taking over the block by 2020, forcing the popular venue to relocate. a matter of grave public concern. The legislature cannot in practice enforce a law so as to make a man wash himself; but, when it provides facilities therefore, it has taken a long step towards the accomplishment of that object. That dirt, filth, nastiness in general, are great promoters of disease, that they breed pestilence and contagion, sickness and death, cannot be successfully denied. While Trinity reluctantly began upgrading some of its older tenements, the court decision seems to have been the impetus to tear down many more and begin an era of commercial real estate. Meanwhile, the heirs to Anneke Bogardus hadn’t given up hope. In 1898, the family had ballooned to “an estimated 30,000 Bogardus descendants … and all were convinced they had a claim to the Trinity Church Corporation’s land. On March 29 and 30, 1898, 100 delegates from all over the United States and Canada attended a convention” where they “spent considerable time puffing their claims, which had expanded to … a total of 192 acres.” There was also a claim for a huge tract in Harlem and another for $80 million, which had sprung from a myth—concocted sometime in the latter part of the 19th-century—that Anneke Jans was the illegitimate daughter of William, Prince of Orange, the Dutch monarch. In the 20th century, the Bogardus story devolved into a complex narrative of mail fraud, the disbarment of shady lawyers, and a lot of false hope. Still, as recently as the 1920s, Bogardus heirs (real and imagined) were still hoping to pry either cash or land away from Trinity. By 1920, when ground was broken for the Holland Tunnel and the IRT’s Seventh Avenue line had been extended south from Times Square to South Ferry, the transformation of the King’s Farm—what came to be known as the Lower West Side before it was Tribeca or Soho—from residential to commercial was nearly complete. In the Disney block, the City Winery building and its neighbor, the former Ketchum Service Wholesale Druggists at 50-60 Vandam Street, are the two most architecturally interesting structures: low-slung, two-story retail outlets from the era when “full-service” shopping had not yet been replaced by cash-and-carry. The City Winery building housed the warehouse of a service grocery—where you could order your goods from a clerk and have them delivered—as well as the J.C. Shriner candy company. In a neighborhood that has seen tremendous upheaval in the last few years, from the building of the controversial Trump SoHo (now the Dominick Hotel) to Charlton Street’s Greenwich West to the arrival of Trader Joe’s, the true harbinger of gentrification, the buildings we are going to lose soon on the Disney block are a small reminder of an era of commercial architecture in New York that is often overlooked. Nearby, the Charlton-King-Vandam historic district is home to a handful of beautiful townhouses—probably in such good shape because they fell just outside the boundaries of Trinity’s slum empire—that have stood the test of time, but they are among the sole reminders of this area’s 19th-century residential past. Trinity, meanwhile, has weathered its real estate storms and come out ahead. The 215-acre King’s Farm has been reduced through donations and sales to a mere 14 acres, so while Trinity can no longer claim to be the second-largest landholder in the city, the church remains the 14th wealthiest private landowner in New York. A 2013 lawsuit revealed that wealth to be at about $2 billion, a figure that only stands to increase as Hudson Square is developed further, particularly if any of Trinity’s plans for luxury residential towers come to fruition. While I doubt these new Trinity developments will bring any current members of the Bogardus family to the courthouse, perhaps one of Anneke Jans’s descendants could at least buy an apartment located somewhere on the Dominie’s Bowery, and thus finally assert a fractional claim on their ancestral land. James Nevius is an urban historian and author of a number of books about New York, including Inside the Apple: A Streetwise History of New York City and Footprints in New York: Tracing the Lives of Four Centuries of New Yorkers. He is currently researching a book about American utopianism. Follow him on Twitter or Facebook.